This FAQ will cover how to setup Port Based VLANS on Web Smart switches. 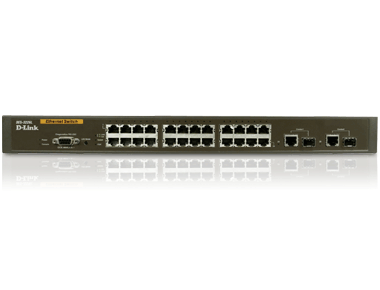 This configuration guide will setup your switch with two VLANs. Note: You can setup more than two VLANs. 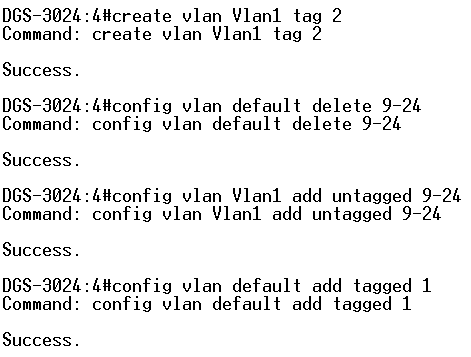 Please follow this guide and repeat from Step 3 for each new VLAN. 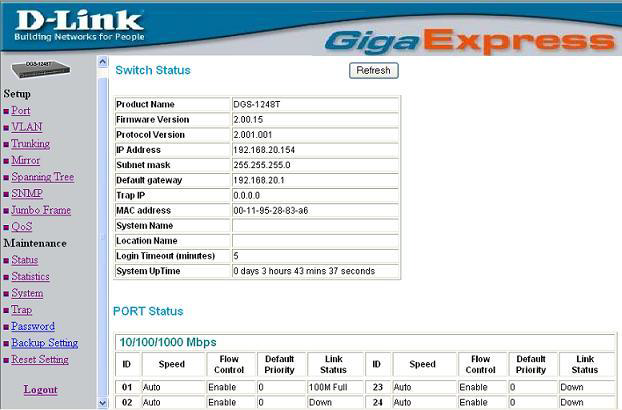 For this FAQ we will use a D-Link DGS-1248T, but this FAQ can be used to configure any Web Smart switch. PC 1 will be plugged into port number 1 of the DGS-1248T. PC 2 will be plugged into port number 10 of the DGS-1248T. DI-624 (Ethernet port number 4) will be plugged into port number 48 of the DGS-1248T. 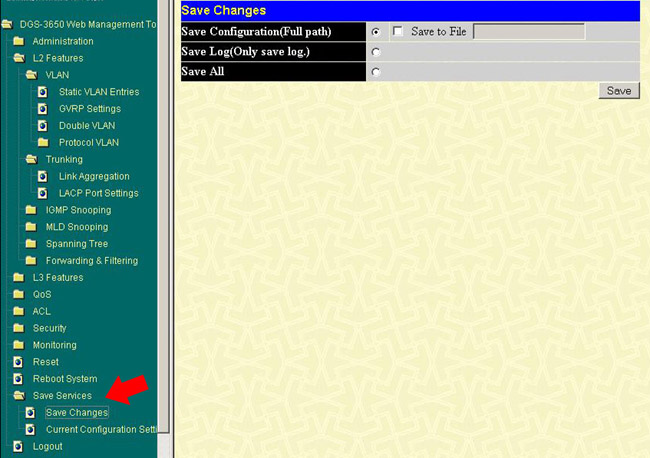 We will be using the default VLAN and one additional VLAN, (VLAN ID 2). NOTE: The Internet connection MUST be a port that is a member of the default VLAN. Please do not change the PVID of the Internet connection. Step 1 Log into the DGS-1248T from PC 1. 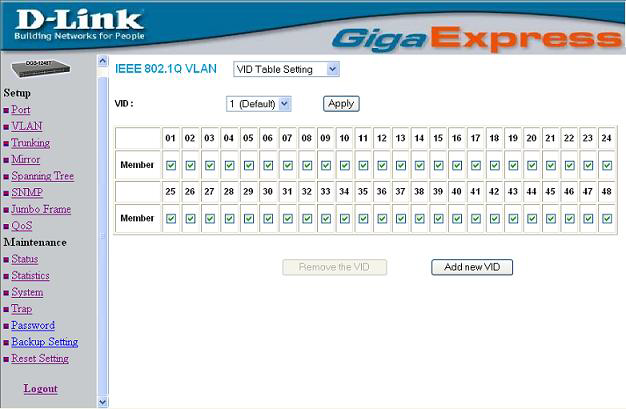 Click on the VLAN link located on the left hand side. Step 2 Click on the Add New VID button. Step 3 Type in the new VID number. This must be a number between 2-4094. For this FAQ we will use the number 2. 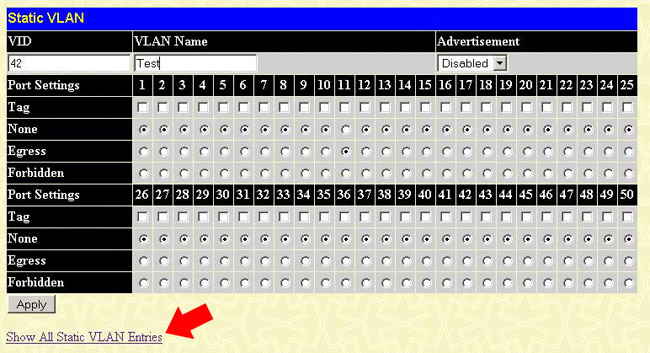 Check mark the ports you want in your new VLAN, including your Internet connection and click Apply. For this FAQ we will check mark port number 10 (PC2) and port number 48 (Internet Connection). 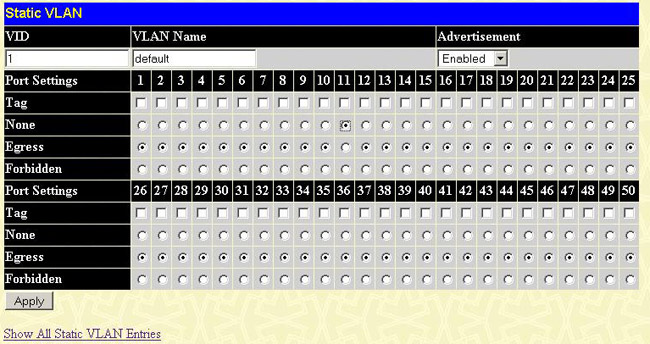 Click Apply, this will bring you back to the main VLAN page. Step 4 From the main VLAN configuration page use the top drop down menu and select the Port VID settingoption. Step 5 Here you can change the PVID numbers for your physical ports. For this FAQ we will change the PVID of port 10 to have a PVID of 2, since “2” is the PVID number we gave to the new VLAN. This will prevent the two VLANs from passing traffic but still allow for Internet Connection. PLEASE NOTE: Do not change the PVID number for the Internet connection. Leave the Internet Connection on the Default PVID. 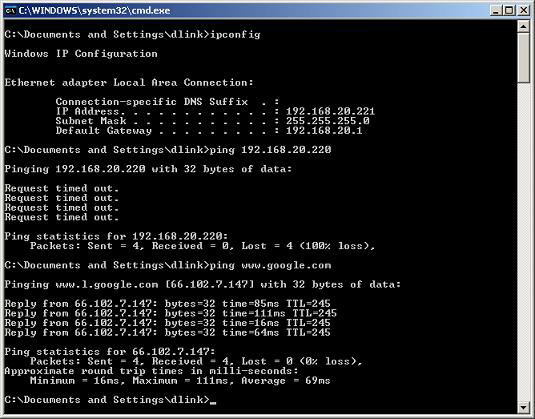 Step 6 As you can see from our picture, we can no longer ping PC 2 from PC 1 but we can ping www.google.com. 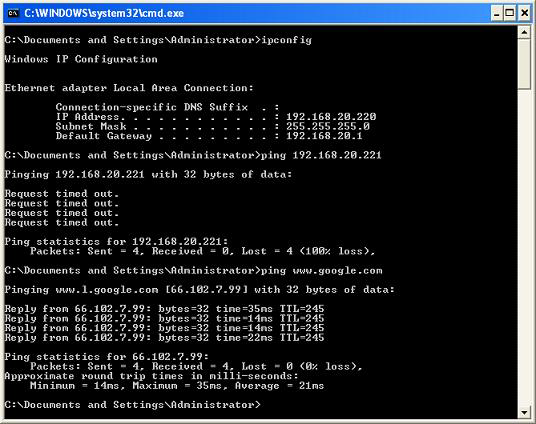 We can also no longer ping PC 1 from PC 2 but we can ping www.google.com. Step 1: Log into the unit by entering the switch’s IP address in a web browser. 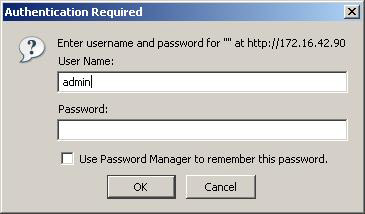 The default username is adminwith no password.